“It’s dangerous to go alone…so don’t.” At this year’s E3, one game stood out among the rest. The Legend of Zelda: Tri-Force Heroes won the award for Best Handheld/Mobile Game. Some of The Legend of Zelda fans will be able to check out the demo for the highly anticipated game. Today, Nintendo ramped up its marketing and promotions for the game, as they sent demo emails to some players. Each e-mail features three demo codes. Players will have a chance to play one dungeon in local multiplayer mode. Nintendo also mentions the availability for players to try out an online co-op mode during select hours. Use the code below to download the demo. Bring two friends along by giving them these free demo code. Players will have a small window of opportunity to maximize their demo by testing out online co-op mode. 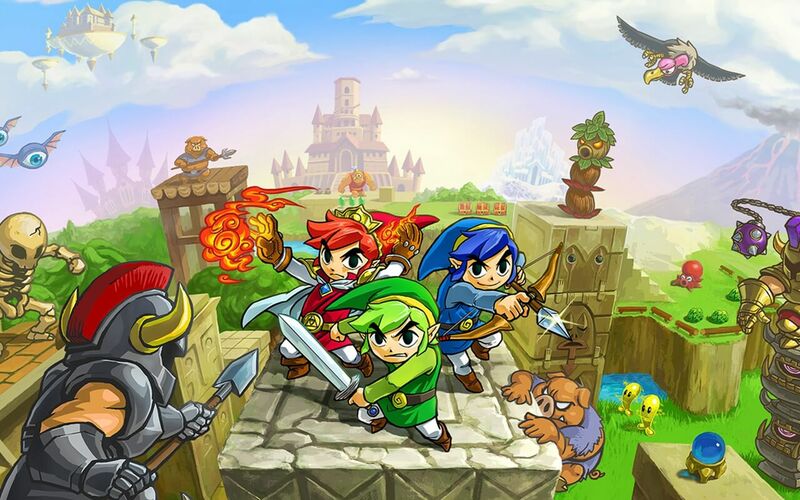 The Legend of Zelda: Tri-Force Heroes will serve as the eighteenth official franchise game. The newest title is slated to be released, for the 3DS, this month. Check out TV commercial that recently took the internet by storm. The new TV commercial spot has Zelda fans waiting for their chance to try out the franchise’s newest addition. The gameplay is different from traditional Legend of Zelda titles such as Spirit Tracks or Twilight Princess. The Legend of Zelda: Tri-Force Heroes is an anticipated action-adventure video game developed by Nintendo Entertainment Analysis & Development alongside Grezzo. in its’ The Legend of Zelda series. The initial release date is set for Friday, October 23, 2015. It will, also, be playable on the new Nintendo 3DS XL. The retail price runs at $39.99 with additional games and systems required for multiplayer mode, sold separately. Are you looking forward to trying out The Legend of Zelda: Tri-Force Heroes? Let us know in the comments below.